When I showed an advert of my local Post Office in my post, Does your post office open everyday?, last week, I didn’t expect the post to be ‘a hit’. 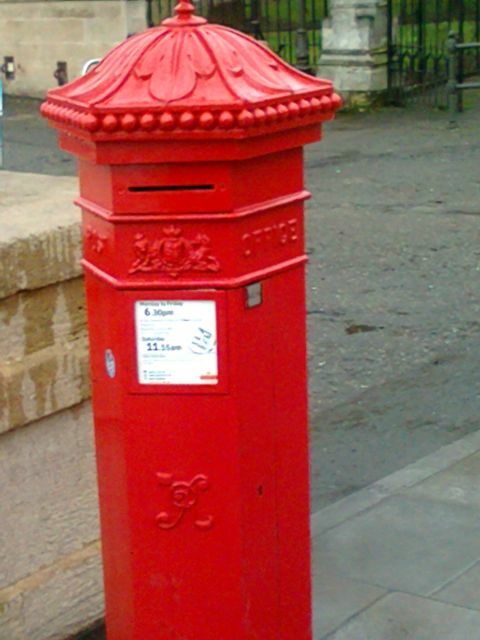 Somehow, one reader — just one, Ruby, asked me some difficult questions, such as: “Is it a Queen Victoria post box?” Good grief! How would I have known? 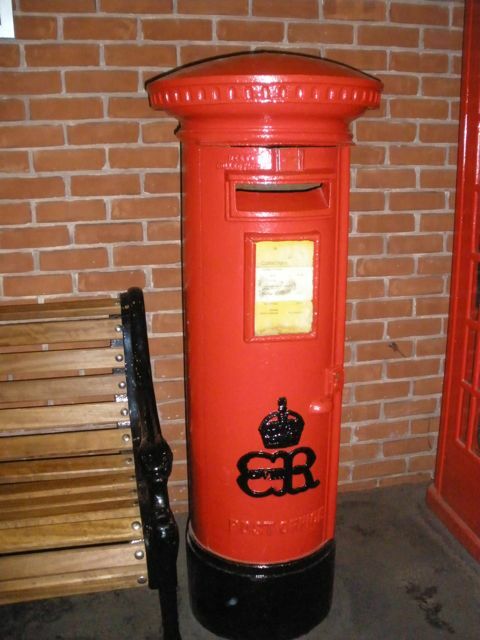 Ruby sent me an email with 4 attachments of British post boxes, of different eras. One normal looking Edward VII is green – but why is it green? Ruby throws this question to you. 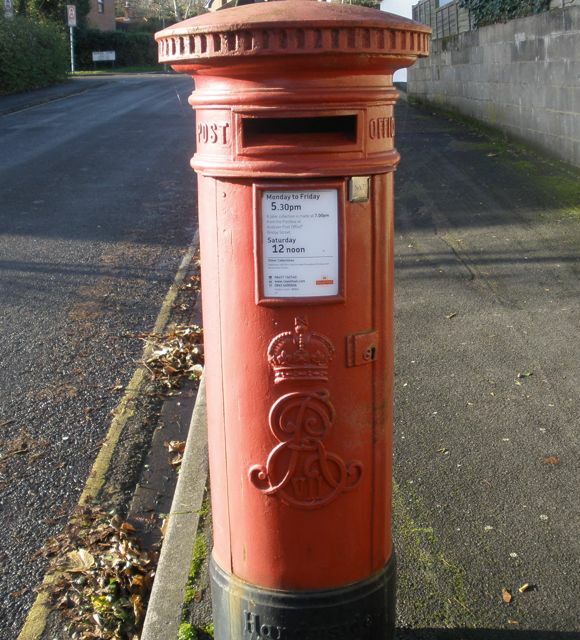 She also kindly shares these links with you: how to decipher post boxes in the UK and an anatomy of a letter box. My interaction with Ruby brings me to think about the blogger-reader relationship. For example, I’ve known Ruby as a mathematician, who’s passionate about church bell ringing and saving life as a first-aider, and she can also work out world’s economics in a shower, but I’ve never realised she’s so geeky about post boxes too. What a revelation! The web is full of wonderfully interesting geeky people, who’re unique, focused and enthusiastic. Being a geek used to carry a negative connotation. Being a geek implies that you are rather sad and pathetic and you’re socially inadequate. You may also become a mass murderer like Adam Lanza in Sandy Hook. Lorelle VanFossen, the ultimate blogging geek, photographer, family history researcher, amazed me with her hobby: tatting. Before reading her post, I knew nothing about tatting. Now I’m fascinated by it, though my fingers will be all over the place if I try tatting. Similarly, I also learnt about keeping free-range chickens from the owner of neverimitate. I learnt about pure joy and origami tips from Leyla Torres. I like the passion of Sharechair, who writes “Everyday technology for everyday folks”, from iPad, iPhones to Kindle. 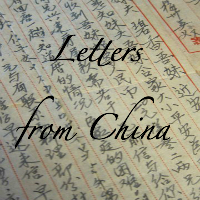 slpmartin, the poet, shares his passion of poetry beautifully in words and sounds in his blog, Read Between the Minds. These bloggers are inspiring. Their joy is addictive. Blogging about your favourite hobby is fun. It engages people. Let people know you a bit better today. Share your geeky side. Share your hobby – popular one, naughty one, odd one or an embarrassing one. It’s time to ‘come out’. Does your post office open everyday? 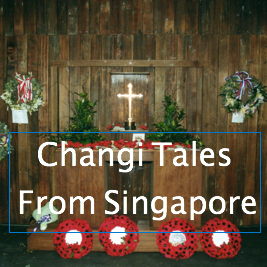 This entry was posted in history and tagged blog exercises, culture, England, history, Lorelle, pets on June 28, 2013 by Janet Williams 張玉雲. LOL! Thanks for promoting the blog exercises. Grandmother was amazing how she taught me. Well, honestly, she didn’t “teach” me. She picked up the cheap plastic shuttle and thread I’d brought from a craft shop, announced that she wouldn’t be as fast as she once was, and the rest was blurred history. Her hands moved so fast, I couldn’t see what she was doing. I tried and tried until she became so frustrated with all my knots and gave up. Determined not to be beaten down, my engineering husband and I sat for hours with a little booklet with horrible black and white pictures to figure it out. He finally found the trick for me. You MUST pay attention to the “flip” of the knot so it wraps around the other thread that circles and pulls through to form a ring. If it doesn’t keep the circle thread straight, it knots. Once I had that, I worked for months to get up to half her speed. I guess over twenty years later, I’m to 3/4 speed of Grandmother. People are so fascinating. I just love learning about them, how they work, what they know, how they learned it, and how they use it all in their lives. I’m a life student, as it appears you are as well. Love it! 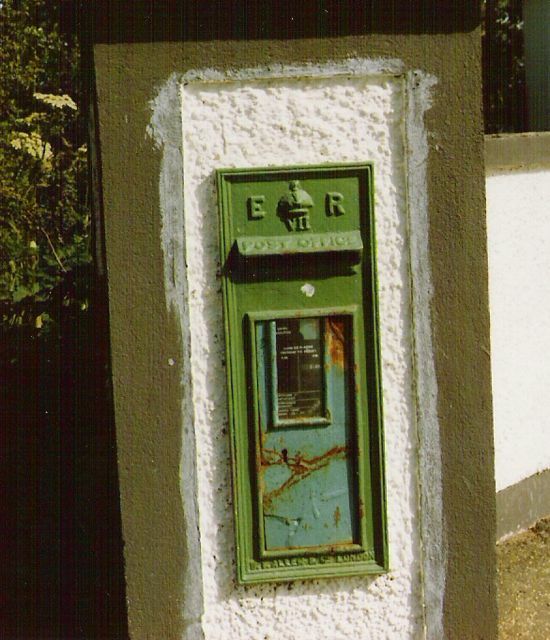 All those post boxes…what’s next? 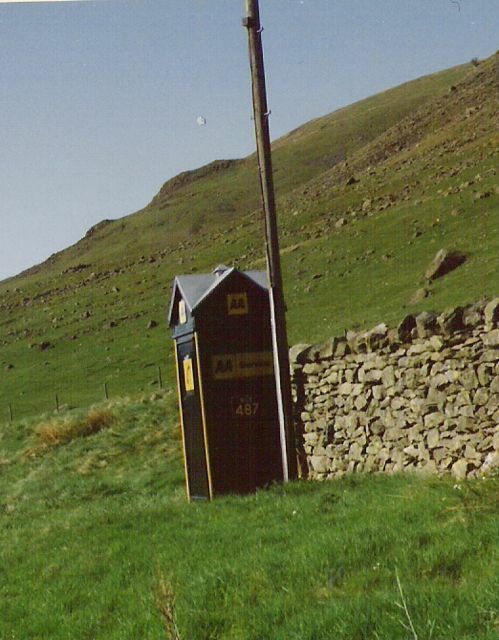 A history of the police call box in time for the 50th Anniversary of Doctor Who? LOL! I’ve found your blog exercises very challenging and engaging. I’ve been following your posts for months, but I was never brave enough to take up your challenges. I cherish the educational values of your blog exercises. Your challenges serve a purpose, ultimately we could improve as a blogger, writer, better ourselves, show confidence and competence in using the WordPress platform. There’re a few other WordPress challenges and writing challenges, but your exercises stand out. I appreciate that you help lay a very solid foundation for bloggers of all technical abilities (if they are keen to follow your guidance). You want to help them do thing right and to blog our passion more efficiently. The educational values of your Lorelle on WordPress are immeasurable. Isn’t this tatting ‘thing’ similar to everything we do, such as blogging? It involves so much effort, sheer determination, and guidance. It also involves good strategies to excel at it. I admire your perseverance. What type of person perseveres? Perfectionist? Is a perfectionist happier? Finally, to answer your question about the police call box, and yes, it’ll have an appearance here one day! If you find any British phone boxes there in Isreal, do share them here. 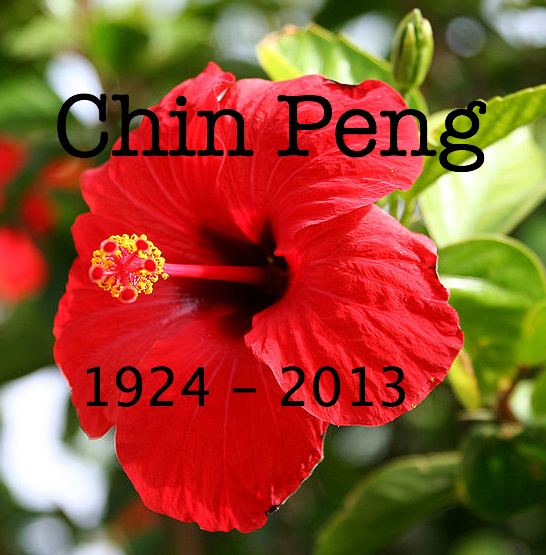 You can use the link provided in this post to identify the period of time. What about the phone boxes from your country? History is in every little thing around us, isn’t it? Good luck with your search and I look forward to your photos. Thanks for the plugs! I should confess that the Edward VIII box was in a museum – they are quite rare (for obvious reasons). Hwoever, there is a ‘real’ one in Winchester – at the top of a long hill, but there is a pub next to it for well-earned refreshment. I was in Winchester today but didn’t see the post box. Must look for them (post box and pub). Thank you — haven’t been to the pub before. The view on the hill is spectacular. I saw a GR postbox outside Southampton station last weekend.